Cherry Glazerr Cherry Glazerr artist page: interviews, features and/or performances archived at NPR Music. 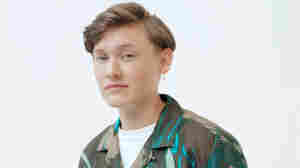 March 30, 2019  Hear SOAK's disco-ball beat that won't quit, Faye Webster's breezy soliloquy and a raspy battle cry from Mavis Staples. February 14, 2019  Cherry Glazerr seamlessly blends dreamy rock and punk with raucous energy when performing "Daddi" live. February 1, 2019  Guitar rock dominates this week's list of the best new albums out on Feb. 1, including the gritty Norwegian band Spielbergs, Mexico's mighty Le Butcherettes, Cherry Glazerr's best album ever and more.